Alonso Krangle LLP, a law firm focused on fighting for plaintiffs in Risperdal Lawsuit | Risperidone Lawsuits, is providing comprehensive, updated information regarding the growing Risperdal Lawsuit | Risperidone Lawsuit, male breast growth litigation. The Firm’s attorneys have extensive experience litigating cases involving drug injuries, and are currently offering FREE Risperdal Lawsuit | Risperidone Lawsuit evaluations to alleged victims of Risperdal (Risperidone) gynecomastia side effects. Individuals who wish to discuss a potential Risperdal Lawsuit | Risperidone Lawsuit are urged to contact a Risperdal (Risperidone) lawyer at Alonso Krangle LLP by calling us or visit the firm’s website, http://www.FightForVictims.com. September 2012: Bloomberg News reports that more than 420 Risperdal (Risperidone) side effect lawsuits have been filed in courts throughout the country, including 130 that involve Risperdal (Risperidone) gynecomastia allegations. All of the Risperdal (Risperidone) lawsuits allege Johnson Johnson failed to provide adequate warning labels regarding the drug’s side effects, including the risk of Risperdal (Risperidone) breast growth in children. 1993: Risperdal (Risperidone), known generically as risperidone and manufactured by Johnson Johnson’s Janssen Pharmaceuticals Inc. subsidiary, was approved by the U.S. Food Drug Administration (FDA) to treat schizophrenia in adults. November 2008: The Wall Street Journal reports that Risperdal (Risperidone) can stimulate the production of prolactin, a hormone involved in lactation. A lawyer representing several boys in Risperdal Lawsuit | Risperidone Lawsuits tells the Journal that two of his clients have required mastectomies to correct Risperdal (Risperidone) male breast development. The co-author of the 2006 Duke University study also asserts that Risperdal (Risperidone) side effects in children can’t be considered harmless. June 2006: A study conducted by Duke University researchers found that the risk of Risperdal (Risperidone) male breast growth was stronger compared to other atypical antipsychotics. The same study also found that some girls taking Risperdal (Risperidone) begin to lactate before they reach puberty. June 2011: Johnson Johnson issues a Risperdal (Risperidone) recall for Risperdal (Risperidone) 3mg tablets and risperidone 2mg tablets, after consumers report an uncharacteristic odor associated with the pills. The odor that prompted the Risperdal (Risperidone) recall is thought to be caused by trace amounts of TBA (2,4,6 tribromoanisole), a byproduct of a chemical preservative used on wood pallets use to transport and store the drug. Prior to the Risperdal (Risperidone) recall, a small number of patients had reported temporary gastrointestinal symptoms. November 2008: Several doctors raise concerns about Risperdal (Risperidone) side effects in children at an FDA meeting. However, FDA officials see no reason to strengthen warnings on the drug. August 2007: FDA grants Risperdal (Risperidone) approval for children ages, 13–17, to treat schizophrenia. On the same day, Risperdal (Risperidone) FDA indications were also expanded to include a treatment of bipolar disorder in youths and children, ages 10–17. April 2005: A Risperdal (Risperidone) Black Box Warning is added to the drug’s label, after the FDA determined that the use of the drug among elderly patients with dementia is associated with increased mortality. October 2012: Johnson Johnson agrees to five more Risperdal Lawsuit | Risperidone Lawsuit gynecomastia settlements. A report from the Philadelphia Inquirer speculates that the company may have been prompted to settle in order to avoid having former FDA Commissioner David Kessler called to the stand as a witness. 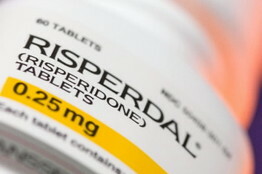 Kessler wrote in a report submitted as evidence in one upcoming trial that Janssen promoted Risperdal (Risperidone) for non-approved uses in violation of the Federal Food, Drug, and Cosmetic Act. Janssens promotion of Risperdal (Risperidone), a powerful drug, for non-approved uses in the most vulnerable children is deeply troubling,” Kessler wrote. September 2012: Forbes.com reports that a Risperdal Lawsuit | Risperidone Lawsuit gynecomastia settlement was reached in a Risperdal (Risperidone) lawsuit just before the case went to trial in Pennsylvania. The Risperdal (Risperidone) settlement allowed Johnson Johnson to avoid testimony by CEO Alex Gorsky. From October 2001 to early 2003 Gorsky was president of the company’s Janssen unit, during which time he was responsible for selling Risperdal (Risperidone), according to Forbes. August 2012: Johnson Johnson reaches a $181 million Risperdal Lawsuit | Risperidone Lawsuit settlement with 36 states and the District of Columbia over its marketing of the drug. State and federal prosecutors alleged the company promoted Risperdal (Risperidone) for uses it did not have approval, including treatment of children. They also accused the company of minimizing or concealing the risks associated with the drug, including Risperdal (Risperidone) gynecomastia. Alonso Krangle LLP is now offering free Risperdal Lawsuit | Risperidone Lawsuit evaluations to alleged victims of Risperdal (Risperidone) male breast growth. To discuss a potential Risperdal (Risperidone) side effect lawsuit with one of the experienced and compassionate Risperdal (Risperidone) lawyers at Alonso Krangle LLP, please contact us at 1-888-836-3050 or visit our website, FightForVictims.com. Andres Alonso and David Krangle, attorneys with almost 40 years of collective legal experience, have focused their law practice on the handling of significant personal injury cases, defective drug and medical device litigation, construction site accidents, nursing home abuse, medical negligence, qui tam/whistleblower actions and consumer fraud cases. A highly experienced law firm representing injured victims throughout the U.S., Alonso Krangle LLP is headquartered in Long Island, New York, with offices in New York City and New Jersey. Alonso Krangle LLP is now offering free Risperdal Lawsuit | Risperidone Lawsuit evaluations to alleged victims of Risperdal (Risperidone) male breast growth. To discuss a potential Risperdal (Risperidone) side effect lawsuit with one of the experienced and compassionate Risperdal (Risperidone) lawyers at Alonso Krangle LLP, please contact us or visit our website, FightForVictims.com. For more information about Alonso Krangle or to join the fight and be a part of our team, please contact us or visit our website, https://www.FightForVictims.com.